2. 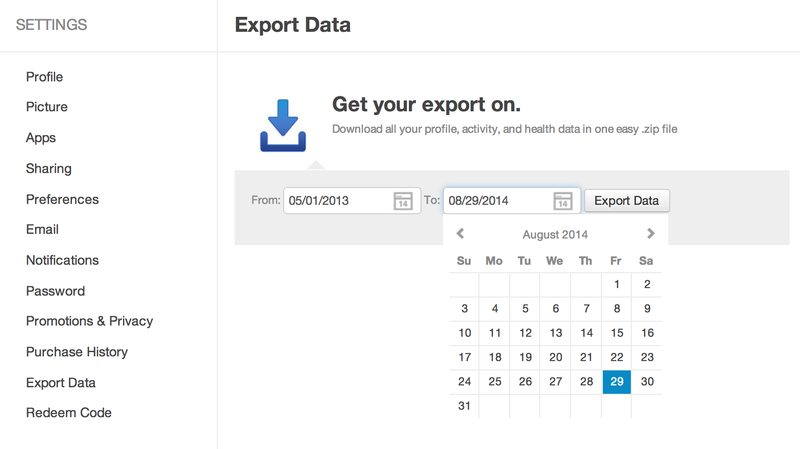 Scroll to the bottom of the page, and click on the Export Data tab. 3. Select a "Starting Date" and "Ending Date" using the calendar boxes to provide your activity data within that timeframe. 4. 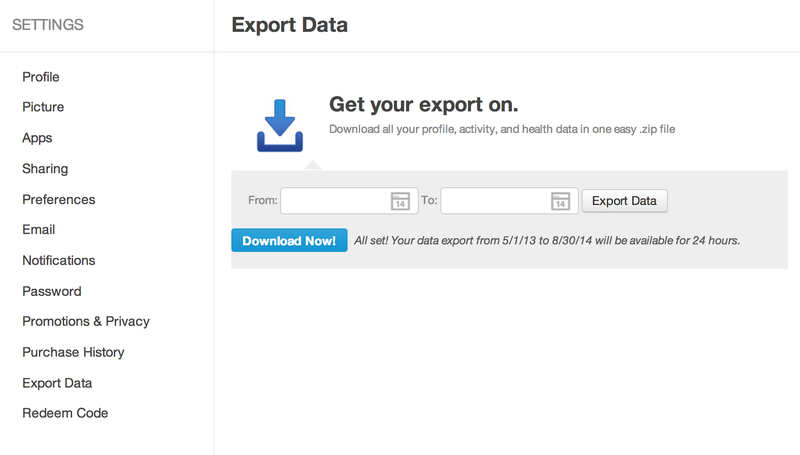 Click the button "Export Data" to complete the export process. 5. Individual GPX activity files, along with master CSV files for cardio activities, measurements, strength training and sleep, will be available for direct download on that same page with a "Download Now!" button. 6. Just click on that button and you will have all your files saved directly to your computer! Please note: The export process can take a while. Just leave the page up and come back to it later. The page will refresh every 30 seconds or so until your data is available, then it will be available for 7 days afterwards. Don't be afraid to let it sit for a while!